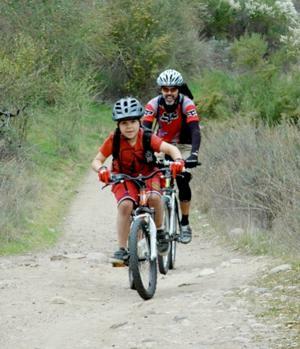 CORBA Kids Club fun rides are held at various locations around the Santa Monica Mountains, these kid-friendly organized rides are intended to build confidence, promote health and wellness, share knowledge of trails and riding techniques, teach respect for each other and the environment, and inspire the next generation of mountain bikers and CORBA volunteers! Children of all ages and abilities may attend (parent or guardian must be present and sign a waiver), and trailers/trail-a-bikes are welcome. Check our calendar to find upcoming rides!